Very nice processor and runs great for the price. I run it O/C'd at 4.2GHz and it's smooth. Under $75, quad-core, x64 compatible. Need I say more? This CPU is the A10-7850K without an integrated GPU, and I must say, runs damn well. Very speedy and DTF... down to function. I can run Premier Pro without a hitch and render a full HD video within minutes. After some research, it's not too far off the FX-6300, a real big reason why I went for it. For benchmark scores, please see my completed build page. I will state that the stock cooler is absolute rubbish. Without an OS installed, idle temps rose to 65C; I didn't measure at-load temps, but they were probably higher. 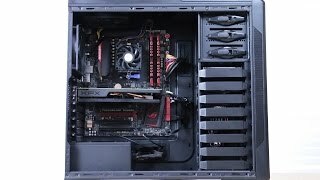 The Cooler Master Hyper TX3 is a great reasonably priced cooler for this CPU. 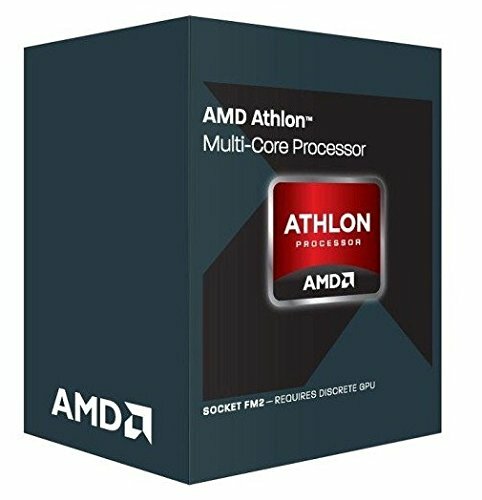 If you want a quick CPU that won't break the bank (and are willing to buy a GPU), this is the CPU for you. Five stars. Cheap quad core processor for the latest FM2 chipset. A good buy right now and leaves the possibility of replacing it in the future with a better FM2 processor when AMD releases one. OMG this thing is great! Easy to overclock and just feels so smooth. I cant say enough about it. Want to build another system with it and really see what I can get it up too. The perfect processor for a budget build.